We recently went to Florida as a family for Spring Break and I was pleasantly surprised how well my toddler handled everything. I did a ton of research on how to make it a pleasant experience for him before we left but he was such a champ! One of my favorite parts of the vacation was our BEACH day. We drove 3 hours (google maps did tell us it would be an hour and a half but I should’ve known better) to Clearwater Beach but the white sand and the beautiful ocean were well worth it. We had a wonderful time and everything went almost perfectly. 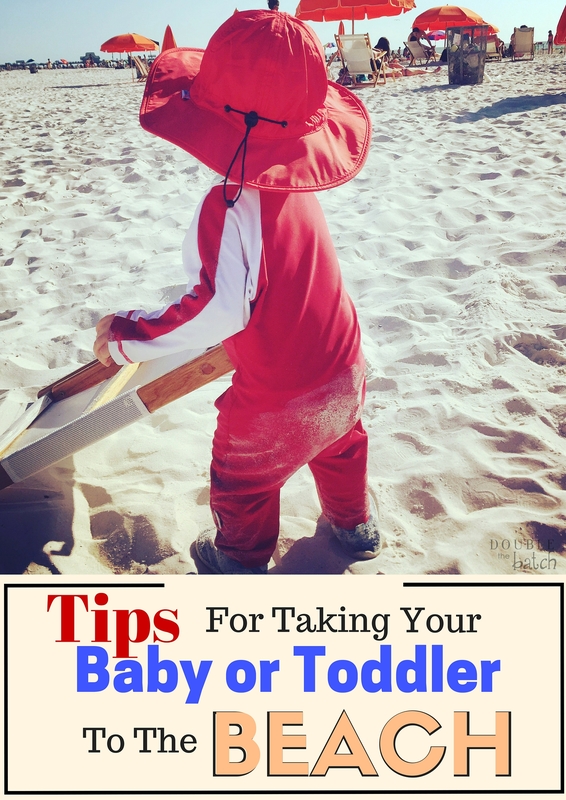 So I’m here to give you tips on what worked for us, what didn’t, and what I wish we had had for my busy toddler, on our day at the beach. Tip #1 Protect them from the SUN. Thankfully, this was something we did right and I’m so glad. Even if it’s a little overcast, don’t be fooled. You can still get burned! There are 3 things I would reccomend for protecting your baby/toddler from the sun. Obviously, this is a no brainer. Use SPF 30 or more and lather that stuff on every hour to hour and a half. 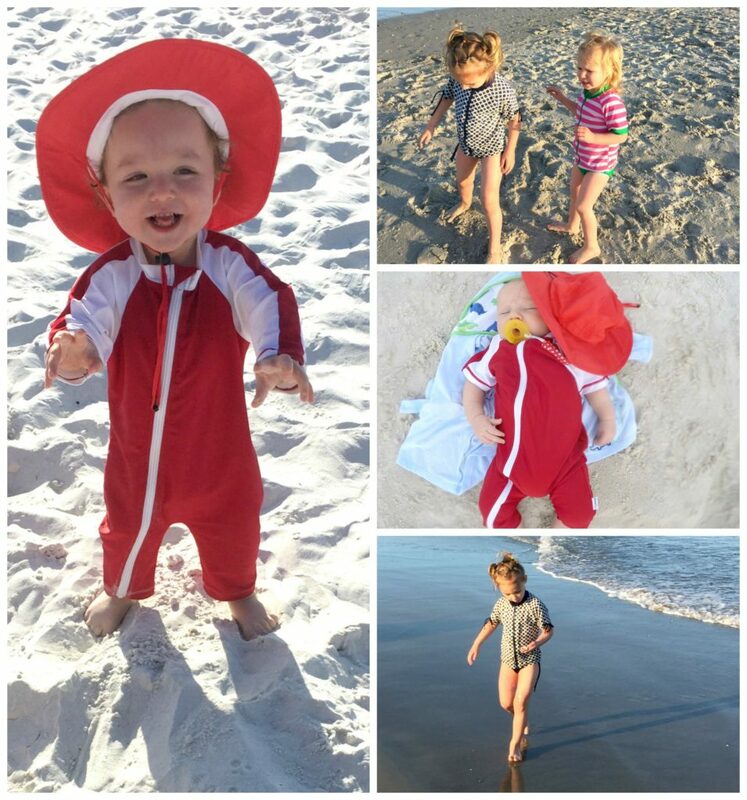 SwimZip is our favorite company to find swim suits that are both affordable AND adorable for our kids. All of their swimsuits are UPF 50+ and block 98% of UVA and UVB rays. We got matching zipper sunsuits and hats for my toddler and my sisters baby, and rash guard sets for her two daughters. Aren’t they so stinkin’ cute?! Of course we lathered them up with sunscreen as well but I loved having the extra protection so I could relax a little easier and just let them enjoy themselves. 3.) Bring an umbrella/tent or rent one. The umbrella we brought was so little that we ended up just renting one of the available spots with a big umbrella and two arm chairs. It was only ten dollars for the entire day so it was totally worth it for us to have some nice shade to play, eat, and rest under. My toddler loved playing with the sand under it while we all took a break from the ocean. You could also bring one of these nifty little pop up tents if you want to own one of your own. Tip #2 Pack your clothes in a ziplock bag and bring an extra garbage bag. This is something I wish I HAD done because sand is literally everywhere, in your bags, your food, your towels, your shoes, etc. . . Having a sealed off bag of clothes (and diapers!) will be really handy once it comes time to leave. Nobody likes a long car ride home with sand rubbing against their rear end. The extra garbage bag is to throw all sandy items in once it’s time to leave. Tip #3 Food and water. 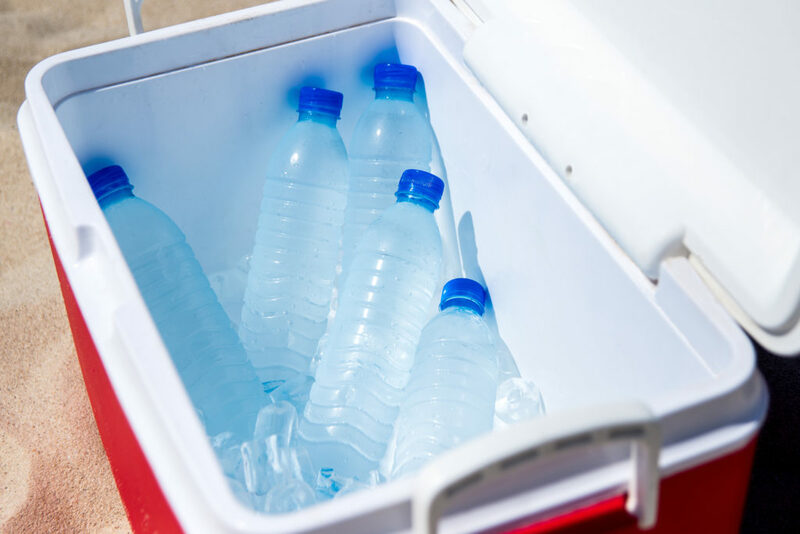 Freeze at least half of the drinks you bring so that you’ll still have something cool to drink and pour into sippy cups. Also, make sure your baby/toddler is constantly drinking to avoid any dehydration. It is SO important to stay hydrated! We also brought a small cooler with sandwich supplies and things to snack on throughout the day. We were silly and decided to bring our stroller. Have you tried bringing a stroller across a beach before? Don’t bother. I’m here to tell you that it does. not. work. I’m sure all the locals got a big kick watching us try to carry it with everything falling out every few steps though. Just carry everything that you can and make more trips back to the car if necessary. Trust me. Tip #5 Read this Beach Hack list. Just do it. These are especially brilliant with keeping sand out. Hopefully these tips will help you relax a little easier when you take your little ones to the beach! Anything you would add to the list?